1) Trying to do “ALL THE THINGS.” If you are spreading yourself too thin trying to stay up to date on multiple platforms, you are not doing yourself any favors. If you feel lie you have to have a presence on a lot of social channels but only post sporadically, none of the platforms will gain traction. When resources are limited, it is better to choose the one or two or three platforms you can master and focus on doing them well. Determine the best social media for your business based on where your target market spends their time and the best practices for the different platforms. For example, being successful on Instagram or Twitter requires more frequent posting than Facebook. 2) Sharing and reposting exclusively. Yes, it is a great idea to share others’ content. It helps make social media “social,” and you want others to share your content as well. However, the bulk of your posts should people, and differentiate yourself from others. Creating an editorial calendar allows you leverage original content, using shares and reposts to fill in. 3) Not using hashtags (#hashtags) correctly- or at all. If you think hashtags are a novelty that only the youngsters or cool kids use, think again. There is a business strategy tied to incorporating hashtags, and a science to choosing which hashtags to use. For those who still don’t understand them, hashtags (the # symbol in front of a word or phrase with no spaces) are searchable across social media platforms. Trust me, if they were no big deal, Facebook would not have changed their practices to make them links. For example, if you search #marketing, you will find posts from anyone who uses that hashtag (#marketing) within their post. It is a very effective method to reach new people and gain new followers. 4) Always looking fresh and new. It is tempting to see how creative you can get with images and quotes and colors and backgrounds. After all, the novelty is is far more important to show consistency to your brand across all social media. Don’t you want people to know it’s you? 5) Posting when you feel like it. 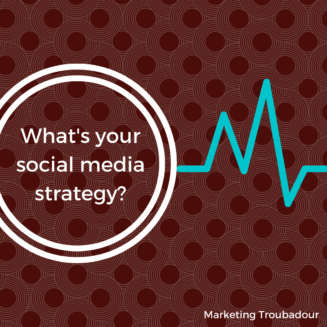 In order for social media to work as a marketing tool, you must have specific objectives and a strategy. Knowing your audience, speaking in their language, and being consistent are critical. Having a plan of how you want to engage with followers on social media and knowing what value you can provide to them gives you a framework from which to plan. Again, consistency wins! Social Media can be an strong marketing tool, but it must be approached as one piece of the whole marketing puzzle, and integrated with other marketing activities.